Local business owners and entrepreneurs who need assistance are invited to attend seminars in May offered by the Oakland County Business Center. Business Basics workshops are now offered in the evenings on alternating months. All programs will take place at the Oakland County Executive Office Building Conference Center, 2100 Pontiac Lake Road, west of Telegraph, Waterford. For pre-registration and location details, visit online at oakgov.com/peds/calendar, or call (248) 858-0783. The Business Research: Feasibility to Expansion workshop provides participants with a rundown on how to research their business ideas prior to launching. Members of Oakland County’s Business Center Market Research Division and an Oakland County Public Library business reference librarian will conduct lessons on how to understand which research sources to use and show business owners where they can look to find the information they need. The workshop will take place on May 3 from 9 a.m. to Noon. The workshop is free, but pre-registration is required. The CEED Microloan Orientation is geared toward small business owners who are having difficulty obtaining a business loan. The recognition of the serious need for working capital for existing businesses, start-up or expansion, equipment purchases, and job creation is not the priority it once was. Presented by the Center for Empowerment & Economic Development (C.E.E.D. ), participants will be shown the ropes on the requirements and process necessary to apply and receive a microloan. The workshop will take place on May 9 from 9 a.m. to 11 a.m. The workshop is free, but pre-registration is required. The Women’s Business Certification Orientation enables entrepreneurs to learn about the benefits and process of becoming a Women’s Business Enterprise. Benefits include certification to private sector WBEs and access to procurement opportunities with major national companies. Presented by the Michigan Women’s Business Council, this workshop takes place on May 23 from 9 a.m. to 11 a.m. There is a $25 fee for this workshop. Entrepreneurs armed with good credit, a solid business idea and extra capital are encouraged to attend the Team SBA Financing Roundtable. The roundtables are a free loan orientation conducted by a business banker, a business consultant from the SBA’s network of Small Business Development Centers, and an SBA representative. The workshop will help to debunk the myths and demystify the process of small business financing. Participants will learn how the lending process works, what is expected of them, and will leave with a better understanding of how the SBA can assist with an SBA Guaranteed Loan Program. Presented by Small Business Administration (SBA) Representative, Michigan Small Business & Technology Development Center (MI-SBTDC) Consultant, and Business Banker, this workshop takes place on May 31 from 9 a.m. to Noon. The workshop is free, but pre-registration is required. 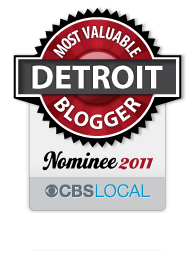 This entry was posted in Detroit, Things To Do and tagged financing, jobs, Oakland County, workshops. Bookmark the permalink.